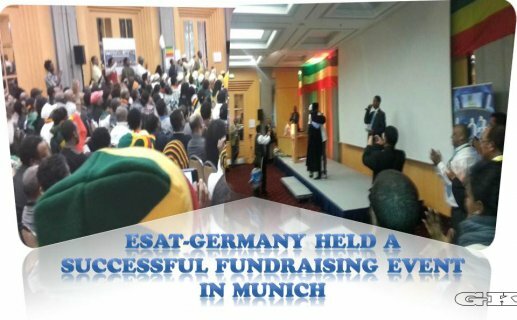 Noting many disturbing events taking place today in Ethiopia, particularly in the Oromia Region, Vision Ethiopia, an independent network of Ethiopian academics and professionals, in collaboration with Ethiopian Satellite Television and Radio (ESAT) is convening a two-day long conference in Georgetown Marriot Hotel, Washington, D.C., March 26 and 27, 2016 under the topic and theme of âTransition, Democracy, and National Unityâ. The goal of the conference is to open a forum for reflection and bring together different political and civic organizations, religious and community leaders, and activists as well as independent scholars and professionals to deliberate on the critical themes of ways and means of resolving conflict and maintaining the national unity of Ethiopia. The conference is divided in to six sessions addressing six different questions. How could faith institutions, civic movements, and social organizations help in conflict resolutions and facilitating democracy, unity and transition to a peaceful and democratic post-conflict Ethiopia? What could Ethiopians learn from the US policy towards Africa and the experiences of African countries in transitions to democracy? How should Ethiopian political organizations be understood? What are their roles and contributions in shaping the democratic struggle of the Ethiopian people and assuring peace and unity of the country in post-conflict Ethiopia? What is expected of Ethiopian women in the struggle and conflict resolutions to facilitate democracy and unity during the transition to a post-conflict Ethiopia? How should the current economic, political, and social turmoil in Ethiopia be conceptualized, explained, and synthesized, and what are the most important ideas for shaping the future of Ethiopia? Quo Vadis? Where are we going? Who should do what to guarantee democracy, transition, and unity in post-conflict Ethiopia? Ms. Birtawit Girmaye: Studio Manager, Ethiopian Satellite Television and Radio (ESAT), Washington, D.C.
Dr. Ashenafi Gossaye: Former Asst. Professor at Addis Ababa University, Fulbright Fellow and Faculty, University of Washington, Seattle, and Professional Urban Planner. Dr. Assegid Habtewold: Coach, Consultant, Trainer, and Speaker and Former President of Addis Ababa University Students Union and EDP Leadership. Mr Obang Metho: Executive Director, Solidarity Movement of New Ethiopia, and Human Rights Advocate. Mr. Abiye Yassin Ibrahim: Activist and Coordinator, Addis Mieraf Team, Belgium. Dr. Erku Yimer: Former Executive Director of Ethiopian Community Association in Chicago and Human Rights Advocate, Chicago, Illinois. Professor Minga Negash: Professor of Accounting, Metropolitan State University of Denver, Colorado and the University of the Witwatersrand, Johannesburg, South Africa. Professor George Ayittey: Professor of Economics, American University, Washington DC, and President of African Freedom Foundation. Dr. Anuradha Mittal: Executive Director, The Oakland Institute, Â California. Professor John Harbeson: Professor Emeritus of Political Science at Graduate Center, City College of New York in CUNY and Professorial Lecturer, Johns Hopkins University, School of Advanced International Studies (SAIS). Understanding Political Organizations: Â Roles and Contributions of Political Organizations in Shaping the Democratic Struggle of the Ethiopian People and Assuring Peace and Unity of the Country in Post Conflict Ethiopia. Professor Getachew Begashaw: Professor of Economics, Harper College, Chicago, Illinois. Mr. Neanin Zeleke: Foreign Relations Officer and Member of the Leadership Committee, Patriotic Ginbot 7. Womenâs Voice: Â Womenâs Share in the Struggle and Conflict Resolutions to Facilitate Democracy, Unity, and Transition to Post Conflict Ethiopia. Ms. Sewasew S.Johannessen: Manager, The Ark of The New Covenant Healing Minstry, Norway. Ms. Asayesh Tamiru: Human Rights Advocate, Frankfurt, Germany. Ms. Elasabett Tesafaye, Human rights Advocate and member ofÂ Center for Rights of Ethiopian Women (CREW), Washington, DC. Ethiopian Scholars Forum 1: Â Conceptualizing, Explaining, and Synthesizing the Current Â Economic, Political, and Social Situations, and Ideas for Shaping the Future of Ethiopia. Mr. Ermias Legesse: Former Deputy Minister of Government Communication, Author, and Human Rights Advocate.